Phonographic Copyright (p) – Capitol Records, Inc. Copyright (c) – Capitol Records, Inc. Distributed By – EMI Pathé Marconi S.A. Printed By – EMI Services Benelux B.V.
En France: distribution exclusive EMI Pathé Marconi S.A.
© ℗ 1989 Capitol Records, Inc. Printed inner sleeve with lyrics. 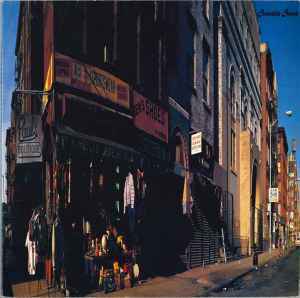 Cover and inner sleeve identical to Paul's Boutique, different label layout. Producer credit B6 misspelled as “Mario G. Galdato Jr.” on label.